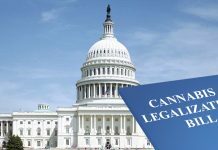 The departure of Representatives Jared Polis and Dana Rohrabacher from Congress left vacant two seats on the bipartisan Congressional Cannabis Caucus (the “Caucus”) so on January 9, 2019, the new leadership team of the Congressional Cannabis Caucus was announced, with Representatives Barbara Lee (D-CA) and David Joyce (R-OH) joining founding members Earl Blumenauer (D-OR) and Don Young (R-AK). 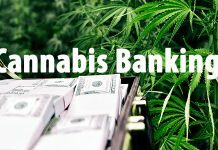 The Caucus was first established in 2017to help shape the marijuana reform agenda in the House and build bipartisan support for legislation that would address issues facing the marijuana industry such as banking, taxation, de-criminalization, medical research and veterans’ healthcare. 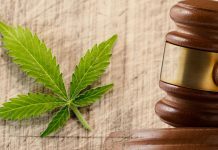 The comments of three of the members of the Caucus on the work they hope the Caucus will accomplish, from addressing the racial injustices of the drug war to implementing commonsense policies to support medical research into marijuana were made in various press releases. The addition of Rep. Lee adds diversity to the Caucus’s leadership as she will become the first woman and first African-American to serve as co-chair. Rep. Lee is no stranger to cannabis activism as she introduced the Marijuana Justice Act in the last Congress which received the highest number of co-sponsorships of any legislation that would remove marijuana from the Federal Controlled Substances Act in history. It is noteworthy that Rep. Joyce becomes the first leader in the Caucus to come from a state (Ohio) that has yet to pass an adult-use regulatory program. He nevertheless has been a long-time supporter of reform efforts introducing The States Act (legislation that would ease the tension between federal prohibition and state-legal cannabis programs), as well as was a cosponsor of the Ending Federal Marijuana Prohibition Act (legislation which would remove cannabis from the Controlled Substance Act entirely). Previous articleCan Cannabis Help People With Alcohol-Induced Pancreatitis? 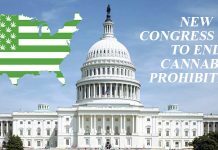 Next articleCongressman Introduces Cannabis Legalization Bill H.R. 420 – If You Can’t Beat Them, Then Join Them!